Land For Sale In Lagos Nigeria – Gated Estate Land. Secure Investment. Land For Sale In Lagos Nigeria – Land Within Gated Estate. Secure Investment. We offer land for sale in Lagos Nigeria within gated estate with genuine title documents. Our name is Erimama Investment Company Limited. We only sell land within formal gated estates owned by real estate developers in Lagos. Simple. We want the very best land deals for our clients. Our CEO is Samson Itoje, a trustworthy and reliable Lagos real estate agent. We at Erimama Investment Company Limited want our clients, investors like YOU, to buy genuine landed properties in Lagos. Therefore, we completely avoid dealing with Omoniles and work only with established real estate developers who have land for sale in Lagos with genuine title documents. When you buy landed property for sale in Lagos Nigeria through our real estate agency, you are buying a secure investment with solid title documents. No problem with Omonile or land grabbers. When you use our real estate agent service, you will buy trouble-free land in estates with potential for high return on your investment. This is the kind of land you should buy! Below is our list of land for sale in Lagos within gated estates owned by reliable real estate developers in Lagos. Location: Eleko Beach Road, off Lekki Epe Expressway, Ibeju Lekki Lagos. 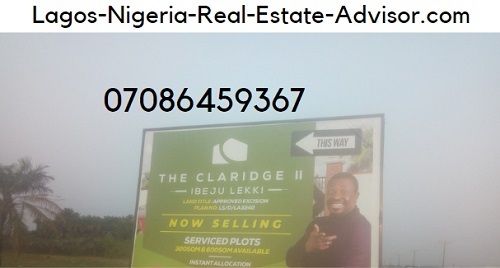 About 15 minutes drive from Lekki free trade zone, 2 minutes drive from proposed Ibeju Lekki Shop Rite Mall and about 10 mins drive from the permanent site of Pan African University. Location: Bogije, Ibeju Lekki. The estate is located within the securely guarded Beechwood Estate, which is directly on the Lekki Epe Expressway. 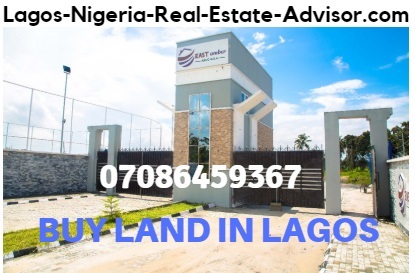 Want to buy land for sale in Lagos in any of the estates listed above? Call Samson Itoje on 07086459367 or 08033290430 to discuss your requirements and get the estate application form. Chat With Samson Itoje on WhatsApp: Click HERE to chat with our CEO, Samson Itoje, on WhatsApp and get all your questions answered.